Delphi a world leader in electronics cooling technology, and Laing, a world leader in hydraulic engineering, have joined forces in the development of breakthrough technology for electronics cooling applications. 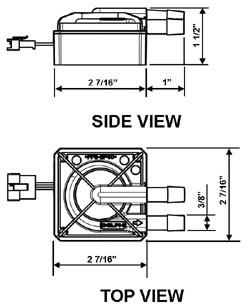 Utilizing Laing’s magnetic drive spherical motor technology and Delphi’s thermal cooling expertise, the Delphi pump was initially designed for computer processor and electronic circuit cooling. Now the Delphi pump fits a variety of applications where space and component size are critical in system design parameters. 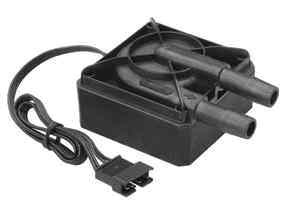 As the frontrunner for liquid cooling systems in the computer industry, the Delphi pump employs a brushless DC motor with a lifetime in excess of 50,000 hours when operated at 12 volts — three to four times the life expectancy of other pumps in its class. Suitable for a broad range of sophisticated electronic cooling systems, the Delphi pump is virtually silent when operating and facilitates a more efficient method of heat evacuation than traditional heat sinks. 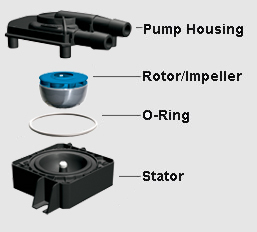 The DDC pump electronically commutated wet rotor design results in only one moving part in the entire pump. A spherically suspended rotor/impeller rests on top of a ceramic ball and is driven magnetically, thereby eliminating the need for a shaft motor connection. The Delphi pump lasts longer, consumes less power and offers superior performance characteristics when compared to other pumps in its class. Acceptable media: Domestic hot water, water/Glycol mixtures and other media on request.